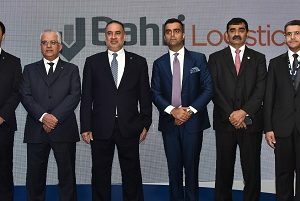 Bahri, the leading direct, full-liner service provider from US East and Gulf Coast ports and Canada to Jeddah, Dubai, Dammam and Mumbai (including way-port calls along the liner service route in the Mediterranean and Europe), has announced the expansion of its market presence in the Asia Pacific (APAC) region’s maritime industry. The stronger presence will help the company gain deeper insights into market trends as well as customer needs in chemicals and logistics sectors in Singapore and the wider APAC region. The expansion will also enable Bahri Logistics and Bahri Chemicals, two of five business units of the company, to market their offerings, acquire new clients, serve existing clients, and channelise communications. 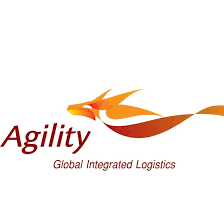 The company also plans to expand the services of its other business units to the APAC region in the future. Bahri’s global network of destinations already includes ports in China, India, Singapore, and South Korea. India and Afghanistan have opened another air freight corridor connecting Herat to New Delhi to promote bilateral trade, bypassing Pakistan. 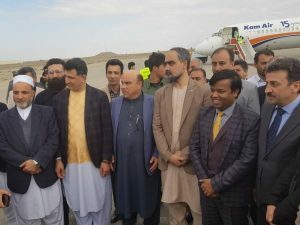 The corridor was inaugurated just a few days after Afghanistan sent the first cargo shipment, carrying 200 kg of saffron and 1600 kg of Pistachio, to New Delhi from Herat in the first flight. India and Afghanistan established a direct air freight corridor connecting Kabul to New Delhi in June 2017 after a decision was taken in September 2016 in a meeting between Prime Minister Narendra Modi and Afghan President Ashraf Ghani. Since then, the corridor also expanded to the Kandahar-New Delhi sector. On February 24, Afghanistan started a new export route through Iran’s Chabahar port that marked the first end-to-end use of the trade route for Afghan exports. The Zaranj-Chabahar route allows Afghan goods to reach India without crossing the Pakistani territory. The Afghanistan Chamber of Commerce and Industries (ACCI) has said that Afghanistan’s economic dependency on Pakistan has gone down following the establishment of new alternative trade and transit routes with several countries, including an air corridor with India. 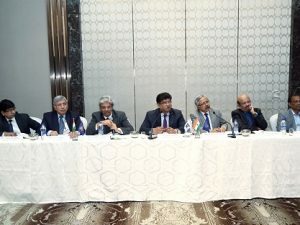 At FFFAI’s ninth Executive Committee meeting in New Delhi, several issues, including the recently-announced national cargo policy, draft logistics policy, recent changes in GST, and trade opportunities between India and Iran, were discussed. Asghar Omidi, Counsellor, Economic Section, Embassy of the Islamic Republic of Iran, emphasised on the strategic importance of Chabahar Port in Iran to script the success of the Indo-Iran trade relationship, which has already been enjoying a rich cultural as well as personal relationship of people of the two countries. He pointed out that presently, India is Iran’s sixth trade partner, with $13.10bn in trade, and with support from Indian logistics stakeholders, the bilateral trade can be increased manifold. “The India-Iran bilateral trade can easily reach $20bn in the near future,” he said. Omidi also invited Indian freight forwarders and logistics companies to visit Iran to witness infrastructure facilities, including Chabahar Port, and explore business opportunities. Facilities at Chabahar Port are being developed in association with Government of India and Indian expertise, and the first phase of the port is operational now. 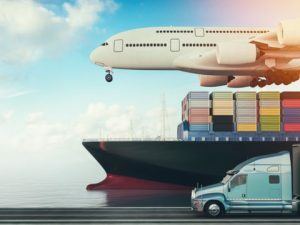 To create a national logistics e-marketplace as a one-stop shop for exporters and importers, the Centre has come up with a draft national logistics policy, set up a separate fund for start-ups in the logistics sector, and to double employment in the sector. The Ministry of Commerce & Industry has invited comments from stakeholders by February 19 on the draft policy. 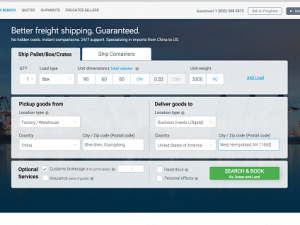 With regard to the e-marketplace, the draft stated, “It will involve simplification of documentation for exports/imports, and drive transparency through digitisation of processes involving customs, in regulatory, certification and, compliance services.” The idea is to provide an impetus to trade, enhance export competitiveness, improve India’s ranking in the Logistics Performance Index to anywhere between 25 and 30, reduce losses due to agri-wastage to less than five per cent, and bring down logistics costs to 10 per cent of GDP from the current levels of 13-14 per cent. The logistics wing will work with the respective ministries for identification and development of terminals/logistics parks next to specific rail sidings to optimise freight movement for key commodities. “This would result in reduction of first-mile and last-mile costs, drastically bringing down the logistics cost,” the draft stated. 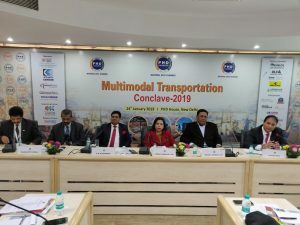 Key projects for driving first-mile and last-mile connectivity and to optimise the modal mix will be identified by the logistics wing, per the draft. Expedited clearances will be facilitated for infrastructure projects. Doubling employment in the logistics sector by generating 10-15 million jobs, focusing on enhancing skills in the sector, and encouraging gender diversity will also be on the anvil, the draft stated. SpiceXpress has announced the launch of its dedicated freighter service between Guwahati and Hong Kong. To start with, SpiceXpress, the dedicated air cargo arm of SpiceJet, will operate a weekly flight between Guwahati and Hong Kong. 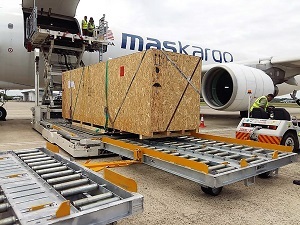 The company has deployed its Boeing 737 freighter on the route with an approximate carrying capacity of 18 tonnes. 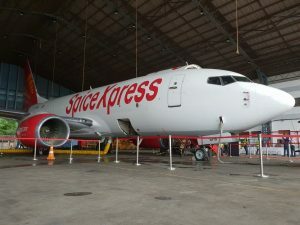 SpiceXpress sees a huge potential for exports from North East India and plans to add connecting weekly flights each from Silchar and Imphal to Hong Kong thereby taking the total tally to three flights per week between the regions. Besides fresh fruits and vegetables, SpiceXpress also plans to start export of exotic tea and kiwi wines from Arunachal Pradesh. As per the latest Lloyds Report, Jawaharlal Nehru Port Trust (JNPT) is the only Indian Container Port to be listed amongst the top 30 Container Ports globally. JNPT notched up five spots, to be 28th on the list, compared to its previous ranking. The good news of rising in the global ranking was shared by the Chairman at the quarterly interactive meeting with all stakeholders, organised at JNPT recently. 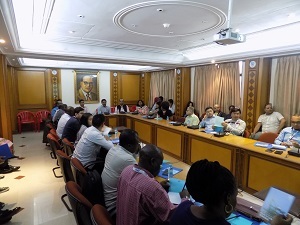 This was the first stakeholder interactive meeting of the year 2019 and was attended by officials and representatives of Terminal Operators, CFSAI, CSLA, MANSA, INSA, AMTOI, Customs and various Shipping Lines. Another point of adulation at the meeting was, JNPT crossing the 5 million TEUs handling milestone, in 2018.